Clothing is not just a piece of fabric wrapped around a body. Clothing has details that make the fabric fit and compliment your body. 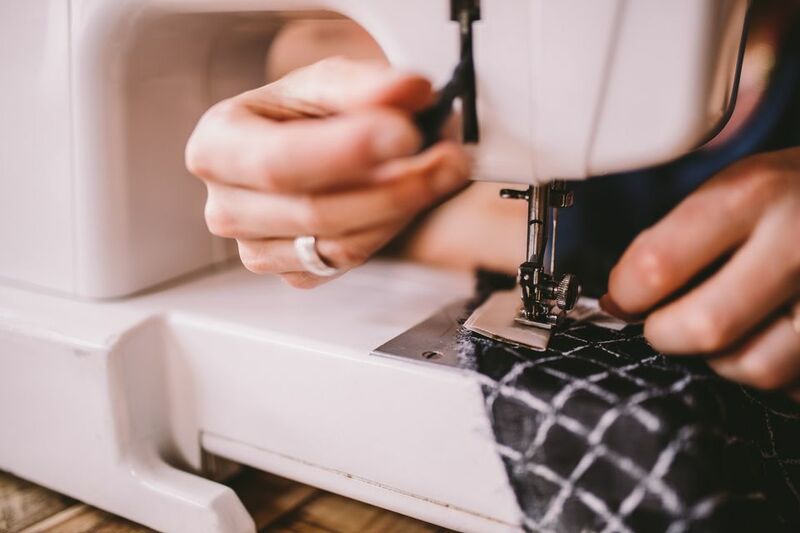 Sewing clothing with results you are proud to wear is possible! Learn to perfect the details and the garment will come together. If you are intimidated, start with a simple garment like pajama pants and work your way ​to more elaborate garments. 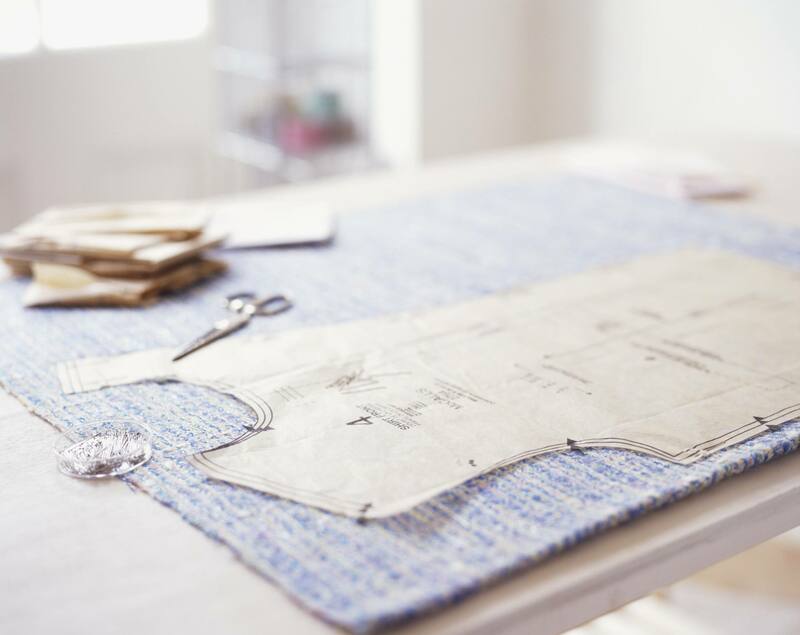 Take the time to practice the parts of a garment and make a notebook of your practice sample to refer back to when you feel stumped. A seam is the basis of almost anything you sew. Keeping a seam line straight and even are key components for desirable results. A dart that is sewn properly will blend into the fabric and add fitting details to a garment. Employing a few simple tricks is all it takes for professional results. Sewing seam finishes not only keep the inside neat, they add durability and stability when the garment is laundered. Flat felled seams Are most commonly found on jeans but are a great seam for anywhere you want a strong durable seam. A French seam encloses the seam allowance. It is very well suited to sheer fabric. Facing are part of almost every garment. One of the many factors that will scream "homemade" is a facing that keeps trying to peek around to where it doesn't belong. Under-stitching is a technique which helps a facing stay inside a garment. What is a shank button and how do you sew it on the garment so it will stay on? You'll find the answers here. When you sew on a button you want it to stay attached. Learn the best way to keep that button on the garment here. Using directional stitching prevents distorting the pieces so they fit together and drape properly. If you sew, chances are there has been a time (or two) that you were not satisfied with the way corners on collars or pillows looked when you were done sewing them. Learn tips and tricks to sewing corners here. As you read pattern directions the term "ease" sneaks into the instructions. Learn what easing is, plus the difference between easing and gathering for the best results. Sewing fur may take a bit more time but the results are worth it. Even a collar made of fur increases the beauty of a garment. A bound buttonhole is an advanced sewing technique. Practice on scraps and you will be pleased with your results. It happens to everyone... that small facing pattern piece seems to have vanished. This article will show you how to create a facing pattern piece. Hemming pants is a common alteration. Learn how to sew a hem with results you will be proud of. Interfacing plays an important role in constructing garments. Learn what it is and what it does here. No one is going to give you an A, but grading a seam will eliminate bulk and help things lay smoothly. A set in sleeve is not difficult if you take it one step at a time and follow the tips presented here.